Miatrade d.o.o. is a family company founded by the captain and economist Miro Šarin in 1992 as a trade and tourism company. In 1993 he started doing real business in his own space and with one employee. In the same year and in 1994, the company cooperated with two Italian factories. Agreements on the import of security equipment for ships with the factory "Arimar" and with the factory "Pierpaoli" on the import of cleaning agents were concluded. In 1993, another worker was employed. In 1995, the business operations were expanded to tourism and transport activities and two agreements were signed with Turisthotel d.d. : An agreement on the lease of the hydrofoil "Žman", with a capacity of 116 passengers whereby the international Zadar-Božava-Ancona line was established, as well as the domestic line Zadar-Božava-Ist-Silba-Rijeka, and an allotment agreement on the lease of hotel capacities. The same year, an additional 5 employees were employed, so that the company now had a total of 7 employees. Regardless of the war, the "Storm" action and the bad tourist season, the Company managed to survive the year. One year later, the Company also leased the hydrofoil "Žverinac", with a capacity of 116 passengers from Turisthotel d.d. The same goes for excursion lines in Istria going to Venice. The same year, 4 more employees were employed, so the total number of employees was now 11. Within Miatrade d.o.o., in 1998, the travel agency "Miatours" was founded, and it leased one of the city’s business spaces at the address of Gate of St. Chrysogonus. The volume of work and passengers increased, and the Company ended the business year with profit. In 1998, both hydrofoils were used to boost the shipping service on the international line to Ancona and the domestic line to Rijeka. 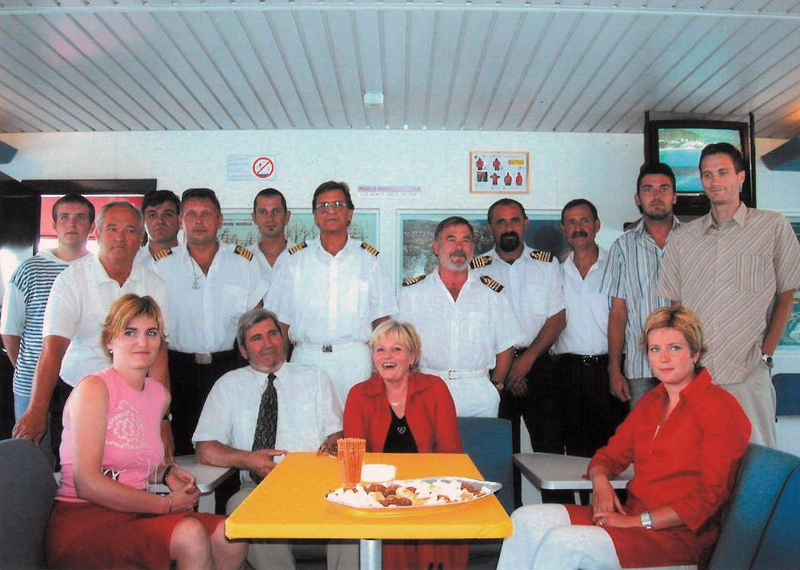 Until 2000, the situation was unchanged, and the same year with a single hydrofoil the company applied to a state tender and got to provide the shipping service for the fast shipping line of Zadar-Sali-Zaglav. Until 2002, one hydrofoil provided the shipping service for the national line throughout the whole year, while the second one was seasonally use on tourist routes. In the summer of 2002, according to international regulations, hydrofoils could no longer be used for international journeys, so an Ukrainian catamaran was leased and used during the season. In 2003, the largest investment was made and the Norwegian catamaran "Princ Zadra" was purchased, with a capacity of 300 passengers, and it was used until 2007 for the international line during the season. Apart from Zadar and Ancona, other Italian cities were also connected to the Croatian coast. Thus, the lines Pesaro-Lošinj and Civitavecchia-Hvar-Korčula were introduced. In June 2007, the agreement on the hydrofoil for the Zadar-Sali-Zaglav line expired, and the catamaran "Princ Zadra" won the tender of the Agency for Maritime Traffic for the fast shipping line Zadar-Silba-Olib-Premuda. The same agreement was renewed in June 2013 with validity until 12/31/2016, and once more in January 2018 for the next 7 years. In 2013, we were awarded the GOLD PLAQUE of the Croatian Chamber of Economy in the category of small companies for business in 2012. In 2014, a catamaran called "Mala sirena” with a capacity of 170 passengers was purchased, as a replacement ship. In December 2017, we celebrated the 25th anniversary of the Company's existence. Over the past few years, the Company has provided agency services to other domestic and foreign sea carriers, and as a tourist agency it has been achieving an ever-increasing rise in the organization of trips, excursions, rent-a-car services and other tourist activities. Since 2003 up to now, the Company has had an average of 30 employees. Today, the company is run by the children of the late Miro, the siblings Mirjana, Ivan and Anamarija.